Thanksgiving is a time for recognizing the positive things in your life, being grateful for everything you have, and acknowledging that, overall, life is good. 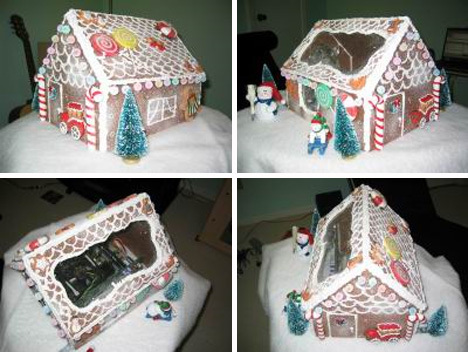 This Thanksgiving, we’re thankful for insane computer case mods that, for one reason or another, put us in the holiday mood. If you’re flying home for the holiday, good luck trying to get through security with this in tow. 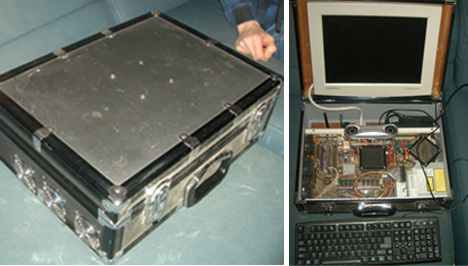 The rather suspicious-looking metal suitcase with three fans will get you pulled off to the side for a thorough search, and we’re guessing the TSA won’t be amused when they discover it’s a clever case mod that’s got them all riled up. 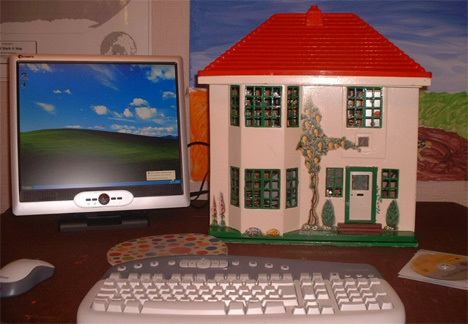 Or maybe your family home is a little more traditional-looking, like this adorable dollhouse that a loving parent transformed into a PC case for a very lucky little girl. 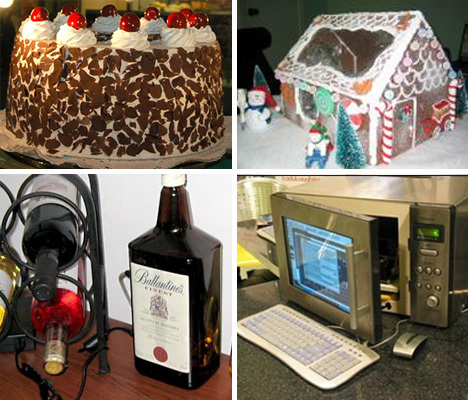 When it’s time to start cooking the holiday meal, you could go with the traditional microwave or toaster oven (Don’t look at us like that. How do you cook turkey? ), but we much prefer the contemporary tabletop barbecue option. All of these case mods were clearly built by people who have more skills in the workshop than in the kitchen. Oh no! You say your barbecued turkey mysteriously ended up making everyone sick? Well, maybe next year you’ll stick with the microwave. 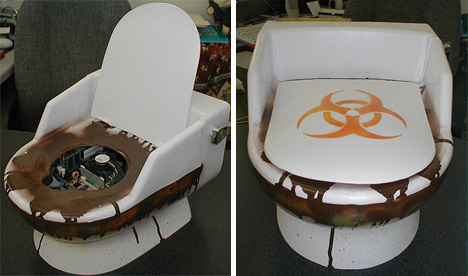 Luckily, the ToiletPC can help you worship the porcelain gods in the geekiest way ever. Since no one’s going to eat your cooking now anyway, why not kick back and order a few pizzas? 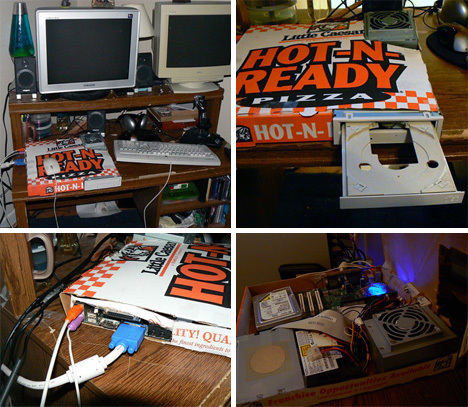 Of course, a greasy cardboard box doesn’t seem like the best or safest place to put all of your computer innards, but this case mod would probably blend right in at any single young geek’s home base. 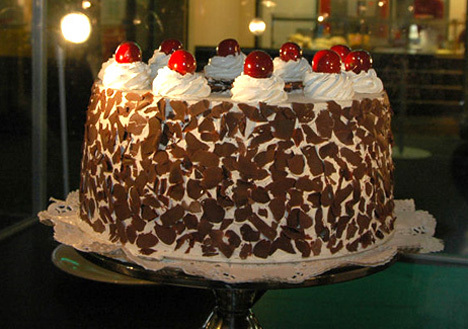 After your refreshingly unorthodox Thanksgiving dinner, enjoy a slice of this delicious cake-puter. 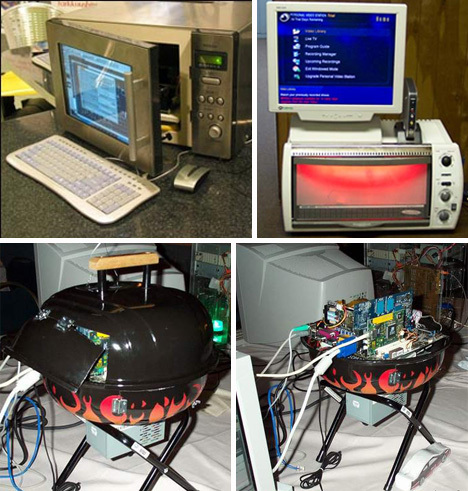 This was one of the entries in the CeBIT 2007 case mod contest, and it’s pretty mouth-watering for a computer. Ok, ok, we admit it: it’s a stretch to say a piano computer is holiday-related. But you gather around the piano and sing songs with your family on holidays, right? So we’re calling it Thanksgiving-relevant. 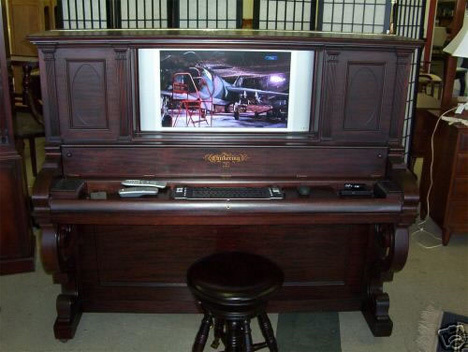 This incredible computer inside a piano was originally built for Elton John. It’s getting later in the day, and your aunt still hasn’t stopped bugging you about when you’ll be getting married and having kids. It’s time to hit the booze. Now, you may not think that mixing a sophisticated piece of hardware with liquids is a good decision. 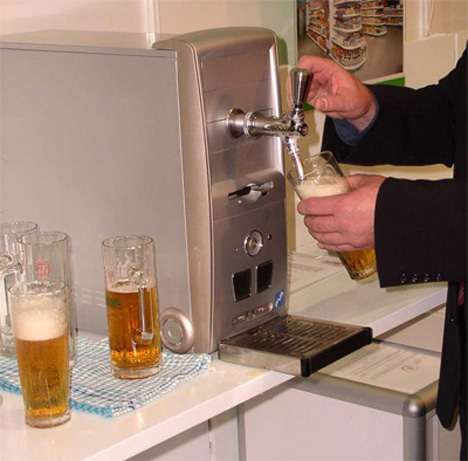 You might also think that beer + computer-generated heat = the equivalent of skunk juice. You may be correct on both counts, but how cool would it be to try it out just once? 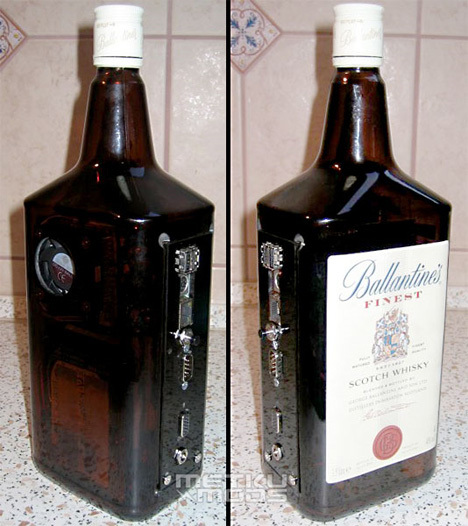 For those requiring something a little harder to take the edge off of family time, this whiskey bottle case mod should do the trick. Yep, that’s a real glass bottle with a real, functioning computer inside. If you’re going to try this mod at home, remember not to attempt it on the same day you kill the bottle of whiskey. 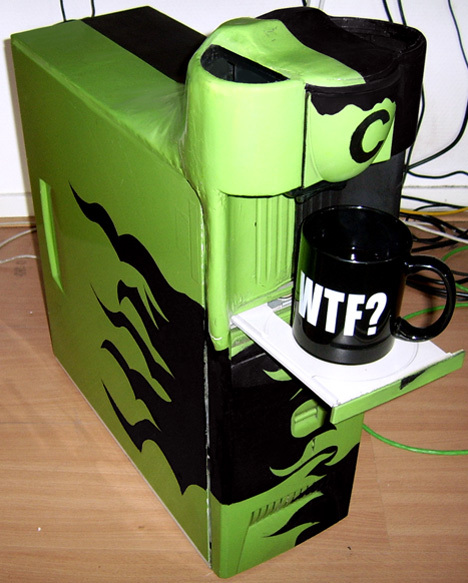 For the inevitable hangover, the Coffee PC is ready and willing to provide a hot cuppa. And you don’t even have to fumble for the coffeemaker’s controls: the modder responsible for this glorious machine wrote a script that lets you make coffee by inputting a command to the PC. Genius.